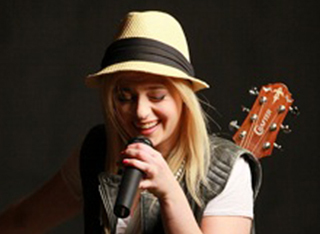 Emma Sapper is a 20 year old singer/songwriter and actress from New York. Having no family history in the performing arts, Emma has been singing ever since she could talk, and would hum before she could speak. You can say that songwriting was like second nature to Emma. She grew up writing songs ever since she was 5 years old, when she wrote her first complete song “Dream Come True” for her Grandmothers birthday. Each and everyday, Emma would continue to write and her songwriting continued to evolve. At the age of 15, Emma decided it was time she picked up the guitar and wrote a song on it only three days later, proving that music came naturally to her. Emma considers herself a born truth teller and her music doesn’t shy away from that. To this day she considers her guitar to be her best friend and the one thing she can trust telling everything to. When you listen to her music, you’re getting a glimpse into her life. Her songs are so relatable it will feel like you've known her your whole life.